Northwestern College junior Sarah Wedel has been selected to participate in a workshop with World Journalism Institute in Asheville, N.C., May 17–30. Wedel, a journalism and history double major from Yale, S.D., is one of 14 students from across the country chosen to participate in the free workshop. At the end of the experience, one student will be offered a paid summer internship with the organization. “I was interested in applying for the program because of the incredible opportunity to learn from journalists who have reported around the world,” says Wedel. The two-week workshop emphasizes feature writing and reporting for either secular publications or World News Group, a Christian organization that runs the World Journalism Institution and produces radio programs, websites and publications like World Magazine. Workshop applicants must complete at least one year of college and possess writing experience, preferably with college, online or professional publications. 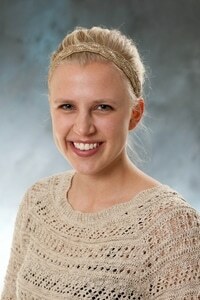 Wedel serves as news editor for Northwestern’s student newspaper, the Beacon.